All EGA members are welcome to join chapter events. Newcomers are welcome to attend 2 events before being asked to join. Meetings are held on the 4th Wednesday of most months at a member's home in East Cobb . This is the group to use your needlework skills and throw out all the rules. Stretch your imagination and join us in creating out of the box projects. Please email [email protected] for further information. Come join us - it's so much fun and open to all EGA Dogwood members! This is a social stitching group where all chapter members are welcome to attend. Group meets on the 4th Wednesday of most months from 10:00 a.m. until 2 p.m. Bring a work in progress and a sack lunch. Email [email protected] for more information. The chapter will be treated to a fascinating lecture on the history of Redwork, including a fun quiz and prizes. Attendees will receive a piece of fabric and red floss to try their hand at redwork. 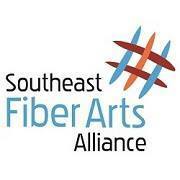 Meeting is open to all members and guests at the Southeast Fiber Arts Alliance (SEFAA) located at 3420 W. Hospital Ave., Suite 103, Chamblee, GA 30341. Even if you aren't participating in the group project, bring your work in progress and come for a relaxing afternoon of social stitching. This is a social stitching group where all chapter members and guests are welcome to attend. Group meets on the 2nd Wednesday of most months at a member's home in the Northlake-Tucker area from 10:00 AM to 2 PM. Bring a work in progress and a sack lunch. Chips, drinks and desserts are provided. Email [email protected] for more information. 10:00 a.m. to 1 p.m. The Hardanger interest group meets at 10:00 a.m. on the third Monday of each month at First Baptist Church in Athens. The meetings are designed to bring people together who have a love for or interest in the art of Hardanger. Individual stitches are discussed at member's requests. Anyone interested in learning the basic stitches as well as the more advanced ones is welcome to join us. Interested? Contact Janice Love at [email protected] for more information and put the word Hardanger in the subject line. This is a social stitching group where all chapter members are welcome to attend. Sometimes there's a small educational project included. Meets on the 4th Monday of most months at the First Baptist Church of Athens, 355 Pulaski St., Athens, GA from 10 a.m. until lunch time. Bring a work in progress and a sack lunch. Email [email protected] for more information. The May meeting will include a short class on making a small 'dress' shaped pincushion, There is a small fee for the kit and kits MUST be ordered in advance of the meeting. The project is small and should be able to be finished during the meeting. Meeting is open to all members and guests at the Southeast Fiber Arts Alliance (SEFAA) located at 3420 W. Hospital Ave., Suite 103, Chamblee, GA 30341. Even if you aren't participating in the group project, bring your work in progress and come for a relaxing afternoon of social stitching. The chapter's annual Giant Stitch In and Stash sale will be on Saturday, July 27th at Perimeter Church in Johns Creek. Save the date for this event! The chapter's annual Christmas luncheon is scheduled for Saturday, December 14th at the Atlanta Athletic Club. Save the date!